A reported home invasion in an upscale New York community forces Detective Jimmy Vega into a life-or-death decision. A Hispanic man who fits the description of the armed intruder is fleeing the scene. When he refuses to surrender—and reaches into his pocket—Vega has just seconds to act. Soon, a tragic mistake takes an even darker turn when Vega uncovers links between the dead man and his own mother’s unsolved murder. Vega’s need for answers propels him back to his old Bronx neighborhood, where he’s viewed as a disgraced cop, not a homegrown hero. It also leaves him at odds with his girlfriend, activist Adele Figueroa. But when a shocking piece of evidence surfaces, it’s clear someone will do whatever it takes to keep Vega from putting the pieces together. Only by risking everything will Vega find justice, redemption, and most elusive of all: the ability to forgive himself. 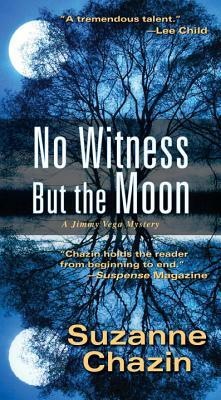 Suzanne Chazin won widespread acclaim for the first mystery in the Jimmy Vega series, Land of Careful Shadows, and for its sequel, A Blossom of Bright Light. She is also the author of The Fourth Angel, Flashover, and Fireplay. She has twice been the recipient of the Washington Irving Book Award for fiction. Her fiction, essays and articles have appeared in numerous magazines and newspapers, as well as the award-winning short story anthology, Bronx Noir. She lives in the New York City area. Visit her on Facebook or at www.suzannechazin.com. "A terrific mystery that keeps on surprising right to the end. Don't miss this series."